Product information "Long material scales LMW"
The long material scales (or "iron bar scales") were designed specifically for weighing metal sections, bars, rods, pipes and plates in industrial and commercial applications. 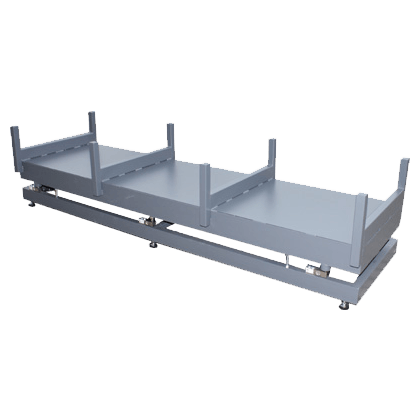 This scale is customer-specific, therefore the length, width and material (powder coated, galvanised) can be selected. 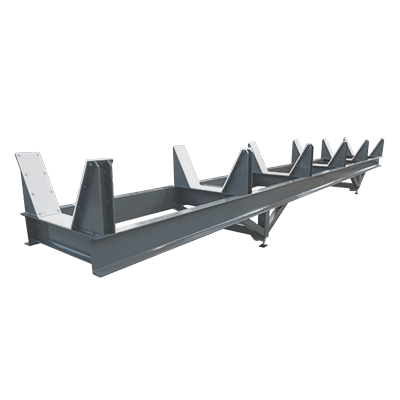 Roll-stops at the sides prevent the weighing material from slipping or rolling off. Optionally, these scales can be equipped with entry pockets for transport using a forklift truck, or with pull-out side extensions. Depending on the required length and load, the long material scales can be equipped with 4 or 6 high-performance load cells. For applications in sectors where legal metrology is necessary, the scales can be supplied calibrated in accordance with accuracy class III. A variety of weighing indicators with various options (printer, large display, WLAN or Ethernet interface) are available as auxiliary components. Fork pockets for transport with a forklift truck. 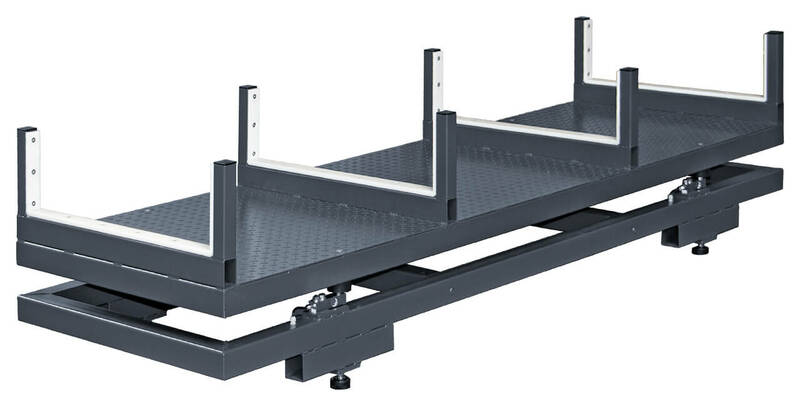 The weighing bridge is made of powder-coated steel as standard, but can also be produced in galvanised steel or stainless steel. For safety reasons, these floor scales are "oversized". The high capacity and stiffness prevents possible bending. As is standard with BOSCHE scales, all cables and load cells are laid in the frame and are thus protected against damage. The indicator can optionally be adapted to the scales, mounted on a wall with a standard bracket or installed on a table. A stand is available as an accessory. Platform size: The BOSCHE long material scales are produced with different platform sizes and capacities upon the request of the customer. 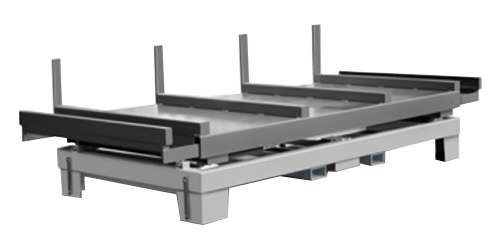 Depending on the length of the scales, they are equipped with 4 or 6 load cells. These laser-welded load cells are certified in accordance with OIML, aligning with protection class IP 68. Related links to "Long material scales LMW"